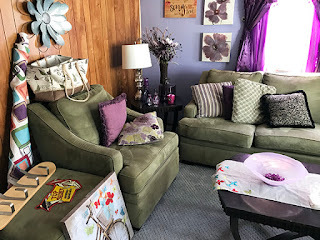 Carnaby Estate Sales: West Seneca this Week! Fab household and scrapbooker's heaven in West Seneca this weekend - check out the photos on the sale tab! (NOTE: We postponed the West Falls sale to the 1, 2 & 3 - with the snow forecast, you don't want to be on those country roads! West Seneca should be just fine, though :-) ). Are you following us on Facebook? If not, take a minute right now to like and follow us on Facebook at Carnaby Estate Sales. Make sure to click "all posts" in the notifications section so you don't miss a single announcement (just liking the page will not guarantee our announcements show up in your news feed). Click here to go to our Facebook page. We'd also ask you to share our Facebook page with all your friends on your own timeline!